A 75-year-old who reportedly had marijuana growing in his backyard tomato garden appeared in court recently to answer to two felony charges. John William Seitz, of 58 Biddle Blvd., Bloomingburg, is charged with illegal cultivation of marijuana, a second-degree felony, and a third-degree felony for marijuana possession. Seitz’s final pre-trial hearing was scheduled Feb. 20 in the Fayette County Court of Common Pleas. The case is now scheduled for a jury trial April 26. According to the Fayette County Prosecutor’s Office, Seitz faces a sentence that can include anything from community control sanctions up to a maximum of 11 years in prison on the charges. 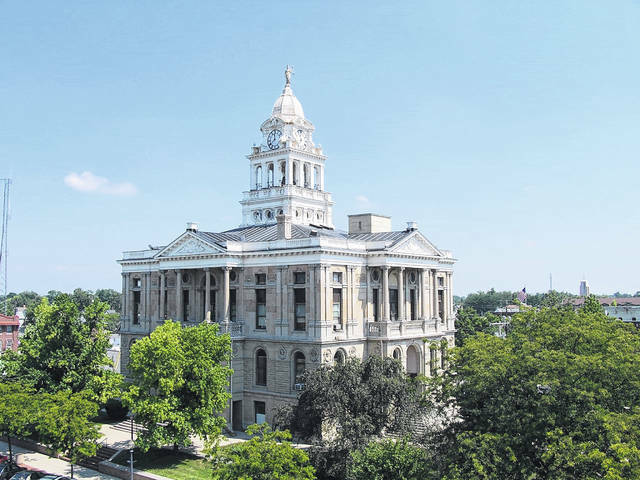 The maximum sentence on a second-degree felony charge of cultivation is eight years in prison and the maximum for the third-degree felony possession charge is three years, according to Fayette County Prosecutor Jess Weade. Fayette County Sheriff’s Office detectives and the Bureau of Criminal Identification and Investigation (BCI) were working a marijuana eradication in Fayette County Aug 30. BCI agent Dwight Aspacher reportedly spotted a marijuana plant in a garden on Biddle Avenue while flying over the property. FCSO detectives made contact with the 52 Biddle Ave. residence where the garden was allegedly located. No one answered the door. The FCSO began to work on a search warrant for the property. Detectives reported that they next made contact with a person sitting on the front porch at 58 Biddle Ave. That person contacted John Seitz, who spoke to detectives over the phone, reports said, and Seitz stated that “he knew there was a marijuana plant in the tomatoes” and said that he was watching the plant to see if anyone would come to claim it. Seitz also allegedly said that he was considering calling a friend of his who was an officer in Sabina to come remove the plant, but hadn’t done so as of yet. Seitz reportedly said that the plant was not placed in the garden by the neighbors at 52 Biddle Ave., and allegedly told detectives that he owned and had control over the garden. The FCSO was given consent to search, photograph and remove the marijuana plant from the garden. According to BCI, the suspected marijuana plant was sent in a brown package wrapped in tape to be tested and had a net weight of 2,192 grams (approximately five pounds). The cost of the lab analysis was $150, court records state. A possible negotiation in the case has not been put forth on the court record, according to Weade.